We understand the vital role that communicators play in today's interconnected world because we've been there ourselves. 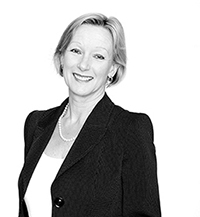 Dee is an expert in both corporate affairs as well as in executive search. She spent almost two decades running large, multi-national communications, media relations and public affairs teams, followed by eight years as a specialist communications executive search director. 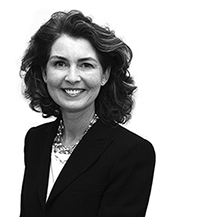 Formerly Vice President Global Communications for InterContinental Hotels Group (IHG plc), her earlier career was spent in a series of international corporate communications posts in both private and publicly listed organisations. Her career began in the business-to-business PR consultancy world. Dee has extensive international experience having lived and or worked in Singapore, Belgium, Malta, Cyprus, Germany and the USA. Used to working with a wide range of different cultures, she has managed large international communications teams across some 100 countries around the globe. Dee leads on all executive searches. She is a member of the Chartered Institute of Public Relations (CIPR). Pippa is an associate executive coach who can provide bespoke coaching for our clients or their senior teams. She is an experienced coach who brings a strong business background to bear on her coaching. She has a Practitioner Diploma in Executive Coaching awarded by the Academy of Executive Coaching and is certified to implement the leadership development and coaching tools EQ-i 2.0 and EQ 360, which focus on Emotional Intelligence at work. Pippa had a distinguished career of her own in corporate communications and investor and public relations, most recently running an international PR and digital business and formerly as Vice President, Corporate Communications for a NYSE quoted leisure business; having started, built and sold her own highly successful travel and leisure specialist public relations consultancy. An extensive network and a deep understanding of the client's needs are what makes a successful search, and Dee has that in spades. Her vast experience in the communications and corporate affairs space - coupled with her patient diplomacy - make her an excellent adviser and always a pleasure to work with.